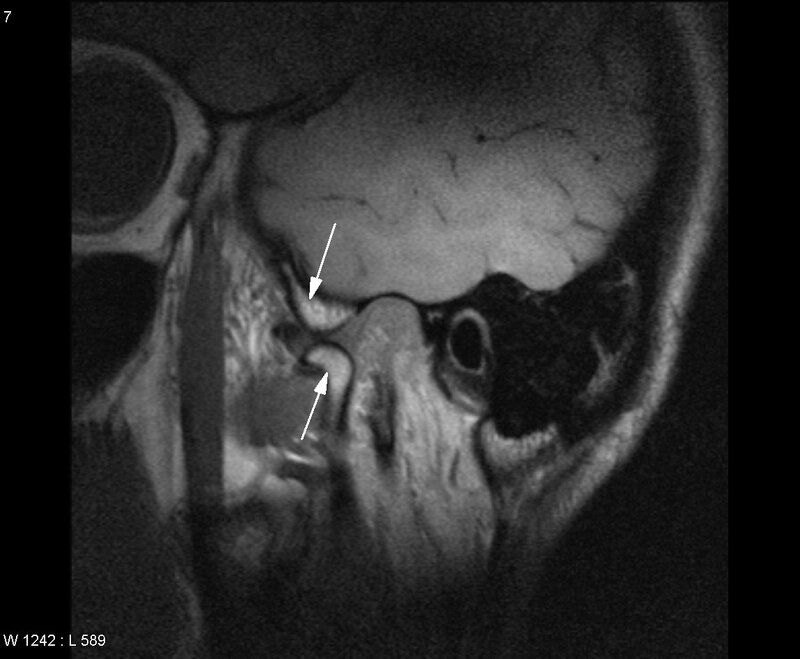 This pathway provides guidance on the imaging of adult patients with suspected temporomandibular joint disorders. 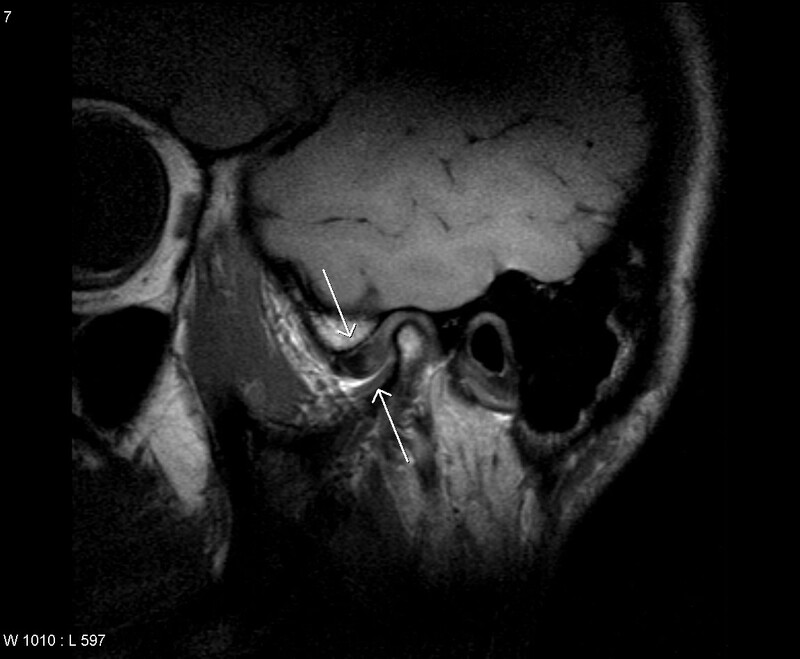 Image 1a and 1b (Magnetic Resonance Imaging): Sagittal proton density image of the right TMJ with mouth closed showing anteriorly displaced degenerate articular disc (Image 1a). This fails to recapture in open mouth series (Image 1b) (arrow).